Pilotfish is placing an increasing focus on satisfying its customers need for new, innovative applications for increasing the efficiency of public sector bus and train operators. 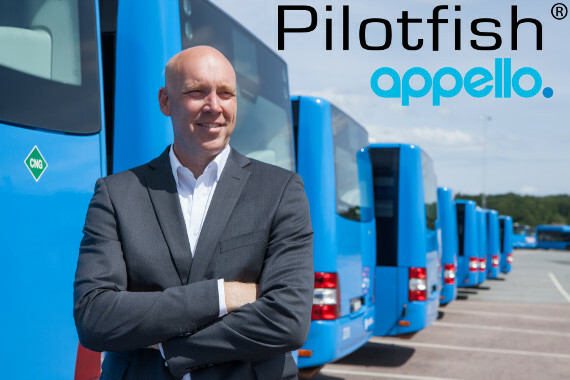 Gothenburg-based Pilotfish is now acquiring a 100% stake in Gothenburg-based Appello, which in partnership with Pilotfish has specialised in innovative applications and user-friendly interfaces for bus operators’ activities. Pilotfish supplies a combination of a standardised communication platform and a range of services which in various ways improve productivity within the public transport system. At present, public transport in Scandinavia and in Europe in general is undergoing a rapid transition, with major challenges in the form of increased competition, new technology, electric vehicles and new information technologies. Cloud-based applications and services, standardised platforms and efficient autonomous vehicles are important tools for meeting the rapid changes which are currently taking place within the public transport sector. Executive Director of Pilotfish, Tomas Gabinus, says that “Appello has a fantastic team, which with its expertise within the fields of application development, maps and navigation services – used by millions of end-users – is a perfect complement to Pilotfish’s current team” . Tomas adds that “we furthermore intend to continue to develop Appello’s navigation service Wisepilot, which is supplied internationally to a range of telecommunications operators” . 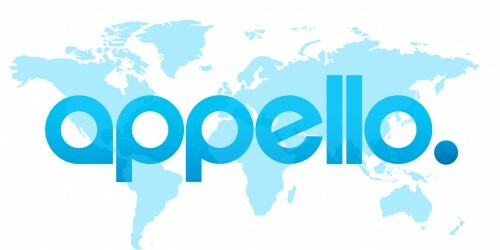 Lars Szakaly, Executive Director of Appello, remarks that “we at Appello look forward to working together with Pilotfish on continuing our collective journey as suppliers of modern applications for public transport”. Pilotfish’s ambition is to achieve a higher level of competitiveness for bus and train operators within the public transport sector. Pilotfish’s approach is centred on structured digitalisation based around an open communication platform which can be supplemented with various user-friendly applications for utilization via the implementation of strategies aimed at continuous improvements. Pilotfish’s tender is based upon standards and architectures which are administered by the European Committee for Standardization’s ITxPT (Information Technology for Public Transport). 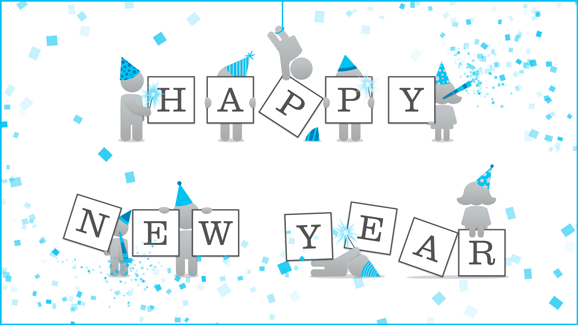 2014 has been an interesting and exciting year for Appello. The past 12 months have brought on a lot of changes and challenges, but we think we’ve been able to handle them all in a really good way. Our team is slightly smaller than when we started off and this has made us become closer than ever. Everyone is working across the previous department boundaries and making even more focused efforts to expand and improve our app portfolio. 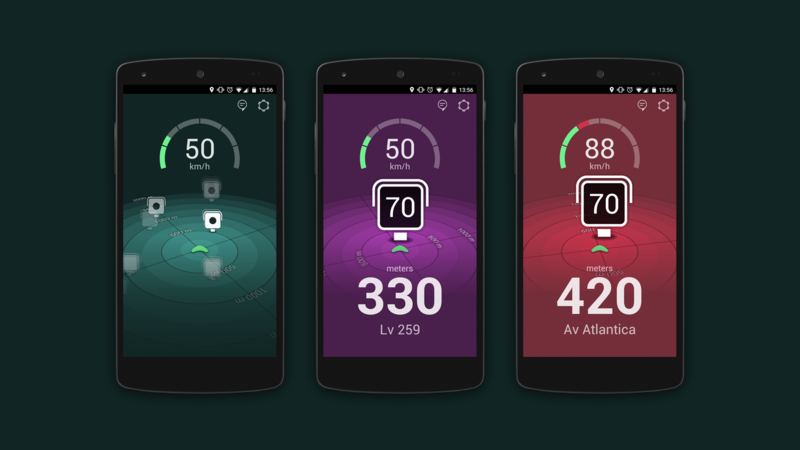 Taking a stand against dangerous driving, Appello now releases a new app with safety in mind. CruzeBy will show the car’s current speed and also display all nearby speed traps on a radar overview, highlighting any trap that becomes critical to the driver. Using both visual and audio feedback the driver will always know when everything is fine and when to release the gas pedal. The traps included in CruzeBy are stationary and red light cameras (provided by Cyclops), but more trap types will be added in future versions. “CruzeBy is the perfect in-car app for when you don’t need our navigator Wisepilot to guide you, but still wants a little help along the way. The number of traffic accidents is still unacceptably high in several parts of the world and speeding is one of the key risk factors. With CruzeBy we’re hoping to make driving safer to all people on the road” says Lars Szakaly, CTO at Appello. Initially, CruzeBy will be available in Sweden, Poland, Brazil and the UAE, but more countries are to follow. The app can be downloaded for either Android or iPhone. 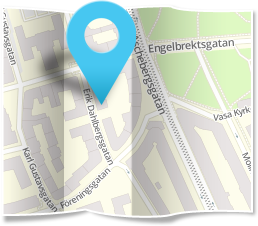 About Appello – Appello is a dedicated LBS company based in the heart of Sweden – Gothenburg. Although small in size, they’re huge when it comes to knowledge and skills. The team consists of a dynamic mix of experienced developers, creative designers and outstanding support, working each and every day to create user-friendly apps that will simplify your life on the move. 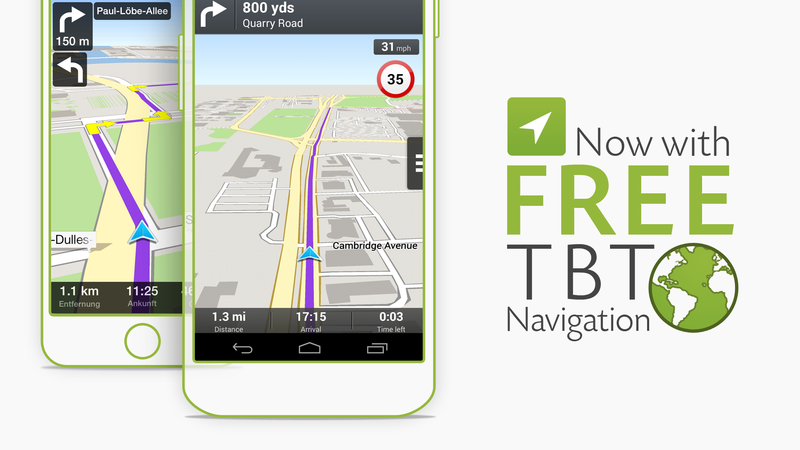 Wisepilot’s turn-by-turn navigation used by more than 350k users is now included for free when the app is updated to the latest version from any of the available app stores. To improve the driving experience even further there is still a couple of options available for purchase, for example the Premium package which includes both live traffic information and speed camera warnings. Watch the Wisepilot promo video! Cyclops announces the launch of a new strategic partnership with Appello, the leading global mobile navigation and location based services provider. This new partnership will see Cyclops static camera alerts for fixed cameras and regular mobile zones available to Appello mobile navigation users worldwide. Cyclops static speed camera content is professionally researched and verified and offers the most accurate, comprehensive and current service coverage available in the market. In the last year alone the Cyclops survey team have covered over 400,000 km verifying over 15,000 database changes. No other speed camera content provider can match this field survey investment and deliver the class leading quality that Cyclops does. With the worldwide installed speed camera population growing by more than 12% a year it is more important than ever that navigation service providers select a partner who can keep up with this pace of change. About Cyclops – Cyclops is the leading global provider of premium quality, professionally verified, speed camera databases and application. With over 90,000 verified sites across 50 countries and an active community of over 1 million drivers worldwide on a variety of platforms, Cyclops delivers the most reliable, accurate and comprehensive safety camera alert service available. Leading brands including Garmin, Navigon, Harman, NDrive, Mappy, Intel and Ford have already selected Cyclops as their safety camera content partner. For more information on Cyclops please visit www.cyclops-uk.com. Annoyed about a lot of places and roads missing from the OpenStreetMap data? Or actually rather pleased with the new maps, but still think they could use a tweak from time to time? We aim to please, so let us present to you: the Map reporter! 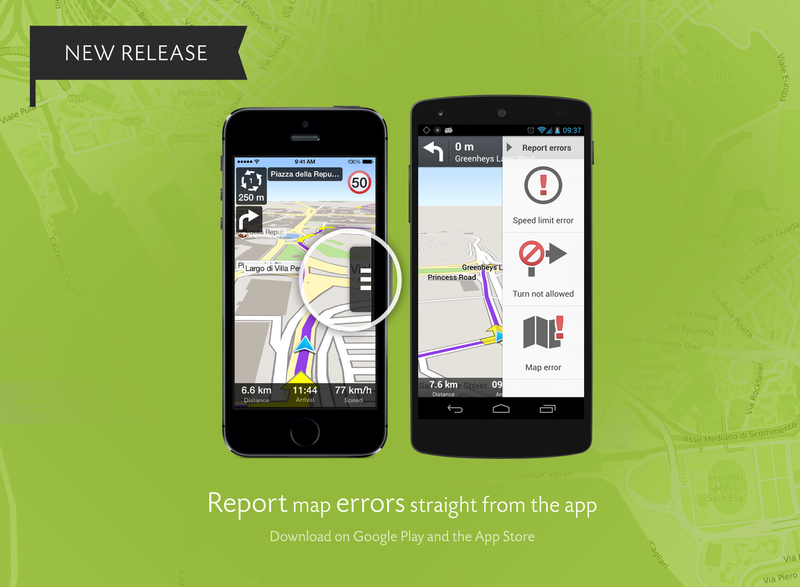 Any errors you encounter along your way can now be reported to OpenStreetMap directly from the application. The reports you send will be added as notes to OSM where they can be picked up by other OSM users (or yourself) who may then make the necessary edits to the map. And remember, by reporting the errors you encounter you’re not only helping yourself to a better driving experience, but all the other OSM users out there as well. Appello, a global leading provider of location based services (LBS), announces today that it will be using OpenStreetMap (OSM) in its award winning mobile navigation application, Wisepilot. From today Appello’s customers will be able to download Wisepilot from their preferred app store of choice and benefit from the rich and detailed data available from OSM. Existing customers do not need to download a new application because, thanks to Appello’s cloud based LBS platform, the switch to OSM will happen over the air. “The whole company is very excited about what we can offer our customers with OSM underpinning our products. OSM’s 1.2 million and growing contributors continue to produce daily updates to the map that will benefit our 44 million unique users. We also hope that our user base will also become an active contributor to the OSM community.” said Mats Winkler, CEO at Appello. Appello offers an award winning portfolio of LBS applications to consumers globally as well as turn-key solutions to mobile operators, handset manufacturers, automotive OEM, and enterprise customers. Appello’s global customer base includes but is not limited to Sony Mobile, Airtel, T-Mobile, TIM, A1, KPN, Mobily, du Telecom, Turkcell and TeliaSonera, reaching all together over 500 million end users. Appello now has over 44 million users in more than 100 countries worldwide. 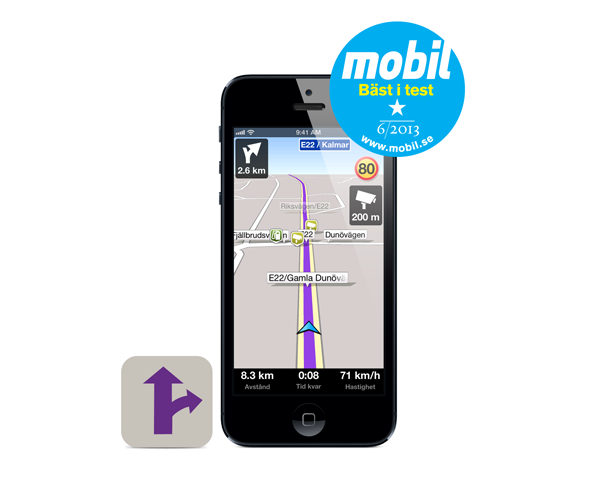 Mobil magazine has compared nine different mobile navigators for iPhone and Android. 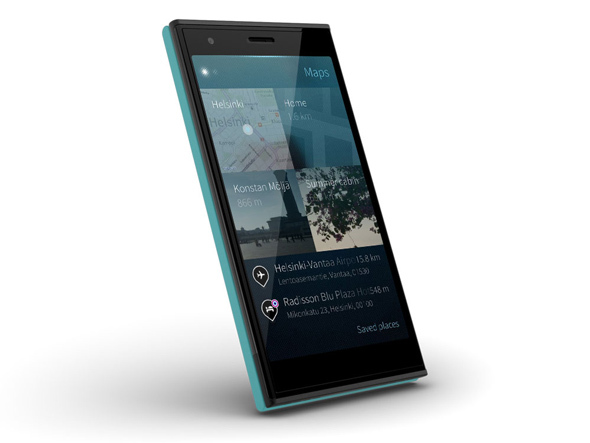 Appello’s local Wisepilot mobile navigator versions took both first and second place in the test. First place went to Telia Navigator and other Wisepilot versions, Telenor Navigation, Samsung Navigator and Wisepilot for Xperia came in second. Appello a global leading provider of location based services (LBS) celebrates that over 40 million unique users have used their portfolio of LBS. “With a fierce acceleration of new users during 2013 we have succeeded in increasing our user base at an average of more than 1million new users every month. The whole company is incredibly proud of the fact that so many people around the world enjoy our portfolio of location based services. The Appello team will continue to work hard on surpassing our users expectations. We also want to thank all our B2B customers without whom the achievement of this milestone would not have been possible.” said Dominic Riley, Head of Sales at Appello. All material on this website is protected by copyright laws. All rights reserved. Material in our press kit is free to use in any press related situations. If you have any questions or special requests, don't hesitate to contact us.